Halibut and Sablefish are groundfish species caught by Seattle Home Port’s hook and line fishermen. The Alaska area groundfish fisheries of the Bering Sea and Aleutian Islands (BSAI) and the Gulf of Alaska (GOA) are managed through two separate but complementary fishery management plans (FMPs): the BSAI Groundfish FMP and the GOA Groundfish FMP that both fall under the authority and oversight of the North Pacific Fishery Management Council. 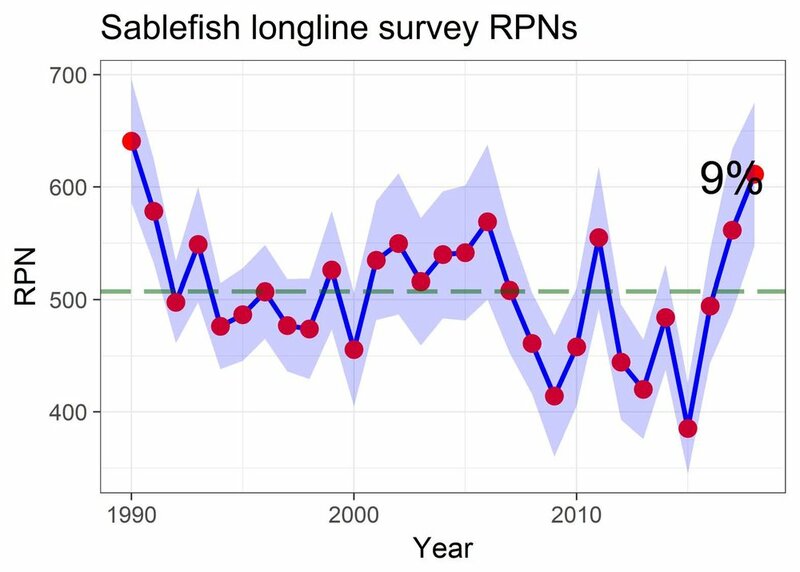 The following slides were produced by staff of the National Marine Fisheries for use in the 2018 Groundfish Plan Team Event held in Seattle on September 18th through 21st. Annually, the Council develops harvest specifications based on information from the Groundfish Plan Teams, Scientific and Statistical Committee, Advisory Panel, the public, and any other relevant information. These harvest specification are in part derived on the abundance of a particular fish species, i.e. Halibut and Sablefish. 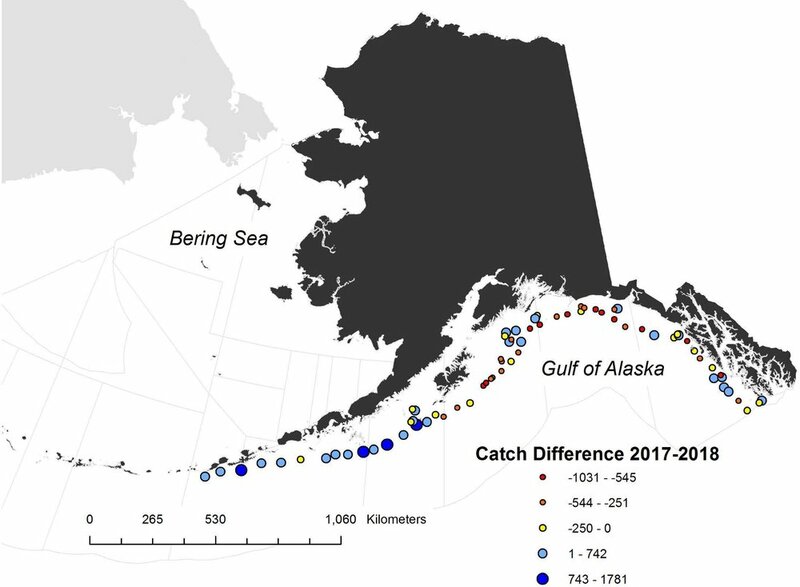 Final harvest specifications are implemented by mid-February each year to replace those already in effect for that year, and based on new information contained in the latest groundfish SAFE reports. Halibut and Sablefish are the backbone of the groundfish species in the North Pacific. Increasingly the changing climate and wasteful fishing practices are making it difficult for the artisanal Halibut and Sablefish producers to deliver high quality fish to the public. The fixed gear Seattle Home Port Fishing Community is dedicated to the sustainable delivery of artisanal Halibut and Sablefish. For more information and how you can help please contact us at the numbers listed in the About tab of our website.